The phone has superb build quality with a snazzy all-metal body. You'll find it has excellent overall performance, on par with flagship phones from all the top brands this year. Streamlined software installation avoids a lot of bundled junkware but includes excellent OS customizations. Some reviewers are unhappy with the redesigned speakers; you may have a better experience with earbuds. Many reviewers complain that the design is somewhat uninspired--perhaps even boring. There are no truly standout features--like wireless charging or waterproof case--to distinguish the HTC 10 from the rest of the Android pack. 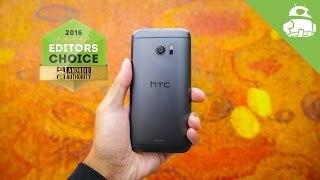 Rebounding from last year's lackluster HTC One M9, the HTC 10 is a strong flagship phone for 2016. 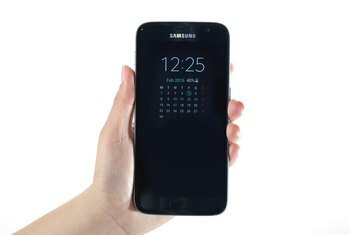 It has a 5.2-inch screen with a resolution of 1440 x 2560 pixels--that's almost as sharp as the Samsung Galaxy S7. The thin bezel at the base of the phone houses a small home button with integrated fingerprint sensor. HTC loads its phones with its custom Android OS called Sense UI, and this phone is almost "stock," with no app duplication or typically unwanted bloatware. The camera features a 12 "Ultrapixel" sensor--HTC marketing terminology for larger pixels designed to take better photos, especially in low light. The crown jewel is the home button, which doubles as a fingerprint scanner. Simply touching it wakes up the display. 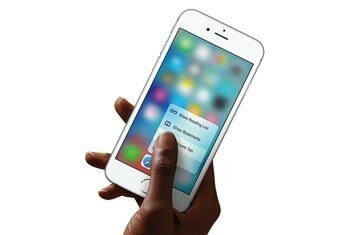 That’s also how quickly you can unlock the phone with your finger. This is one of the fastest and most reliable fingerprint scanners I’ve used. The HTC 10 is a bit slippery in the hand, but the beveled edges help create a solid flat surface around the device that helps me grip it in my hand. The back is curved like a Moto X so it fits well in the hand too. 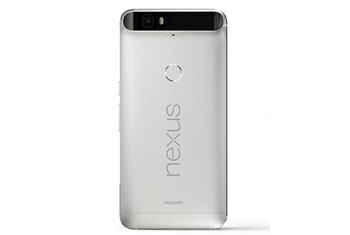 The back chamfer and front bevel give the impression that the phone is thinner than it actually is when resting on a desk. 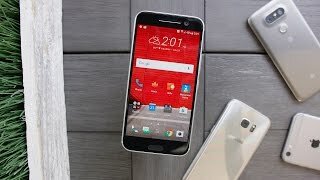 In regular use, the maximum brightness on the HTC 10 is much brighter than that of the LG G5 and Galaxy S7, though it doesn’t feature the trick used by those two where it can boost brightness even more in direct sunlight. Still, the HTC 10 is perfectly usable outdoors. The camera, which supposedly has blink-and-you'll-miss-it autofocus thanks to the second-generation laser autofocus on offer, also comes with 4K video recording combined with 24-bit sound, so you'll get professional-grade videos when you're out at a gig and completely missing the chance to enjoy the artist you paid so much to see. Speaking of the image, it's a good one overall, but not perfect. Due to a disbalance between the primary Red, Green, and Blue (or RGB) colors, with the latter two towering above the former, there's a leaning towards a colder color temperature. In layman's terms, this means that the screen is bluer than it should be. While the lack of previously standard speaker setup may be disappointing, the good news is that BoomSound is still around, this time consisting of a front-facing speaker above the display, and a sub woofer at the bottom, next to the USB Type-C port. There’s no bloatware, no duplicate apps, and no unnecessary features. 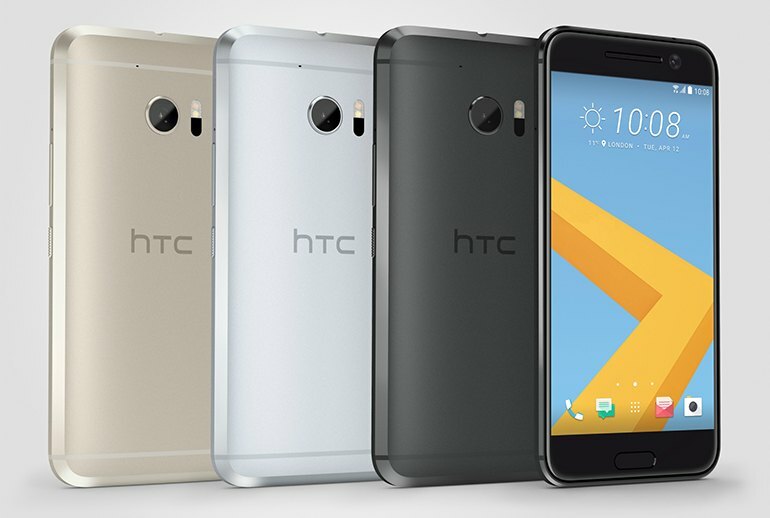 It’s a near perfect combination of slight visual tweaks, minor additions, and signature HTC design choices. 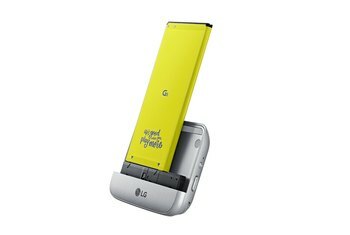 While the 10 mightn’t pack the best feature set of recent smartphones, this is more than made up for by cohesive and well-built software that left me satisfied rather than frustrated. HTC has also removed all the bloatware and duplicate apps, so instead of having two calendars, two galleries, and two music apps, HTC has only included the best (and it’s usually Google’s). The HTC is also better integrated with Google services, so while the camera app is made by HTC, all images open in Google’s Photo app by default and benefit from the automatic backup etc. There are some welcomed software goodies though. HTC's signature BlinkFeed gives you a feed of your news and social networks. And Themes lets you customize parts of your interface like the layout, wallpaper and app design. The cool thing about some of these themes is that their home screens aren't restricted by any grid lines, so you can place apps and widgets anywhere. But the problem for HTC is that there are a lot of phones available now that are fast, have great cameras, reliable battery life, and nice software. It’s not enough to just do these basic things well to stand out in this exceptionally competitive field. If we had to pick a Best Smartphone of 2016 right now, we'd probably call it a draw between it and the Galaxy S7 (which also includes the larger S7 edge). 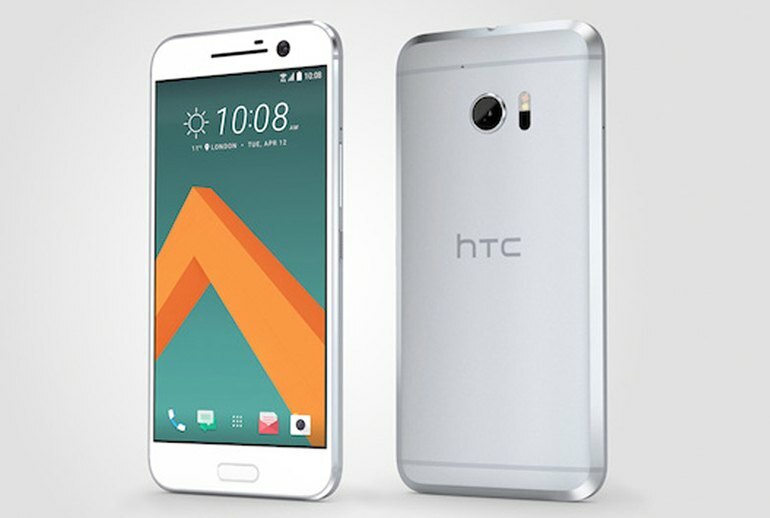 As for which phone I would rather have in my pocket, though, I'm going with the HTC 10. 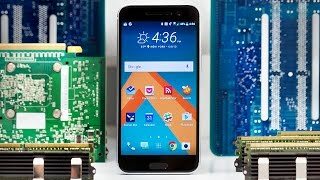 Opening apps, loading games, switching between social apps, games, and productivity apps are all tasks that the HTC 10 is able to do very well with minimal stuttering. 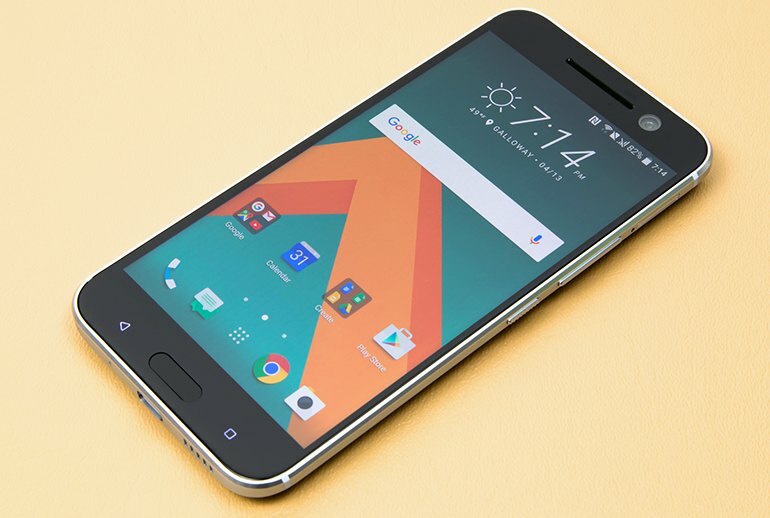 The fluidness of the HTC 10 reminds us this is how a smartphone should behave. 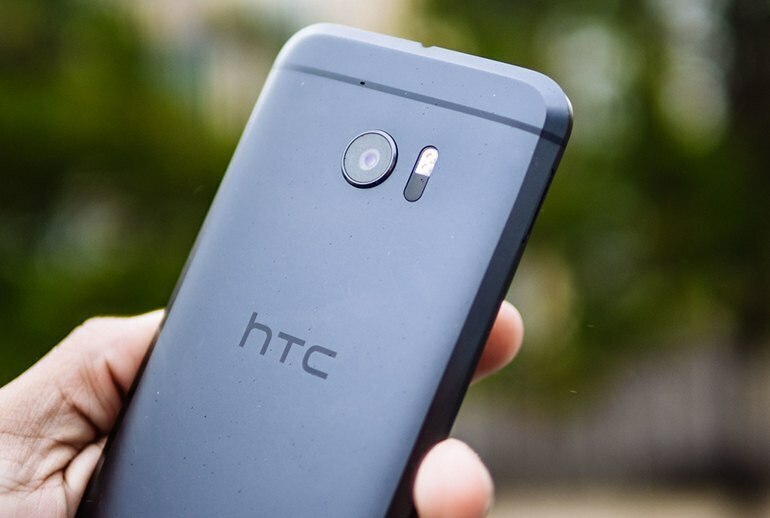 Simply put, this is the best phone HTC has made in years. It's fantastic, though not exactly perfect.